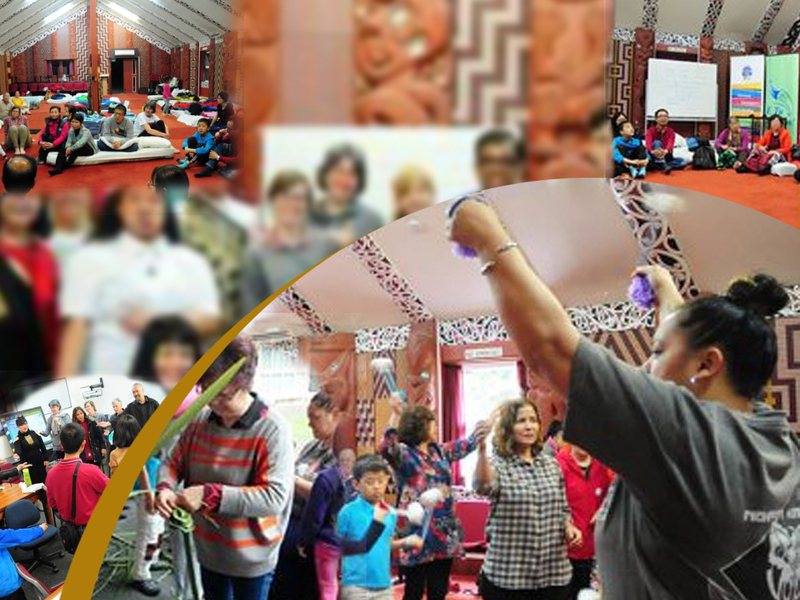 New migrants in Aotearoa New Zealand come from wide and diverse cultural backgrounds but until now, they have had nowhere to connect with the spiritual, cultural and ancestral wisdom that exists in Aotearoa New Zealand. Huarahi Hou is an initiative that aims to connect migrants in Aotearoa New Zealand with Tangata Whenua Māori (local Indigenous Peoples) through their local marae (tribal gathering places) and to participate in a range of tikanga Māori (traditional cultural protocols) led by Tangata Whenua Māori around Aotearoa New Zealand. Participants learn about Māori history, protocols, language, prayers, tattoo, traditional flax skirts, songs, games and weaving. They also witness storytelling about Māori culture and history, and learn about the Treaty of Waitangi from the Māori worldview. This project uses a sustainable, community-based approach that motivates migrants at the early stage of their settlement to better understand the foundations from which Aotearoa New Zealand has grown as a nation. Fostering intercultural understanding between Tangata Whenua (Māori), Tangata Tiriti (residents of New Zealand) and more recent migrants contributes to a level of shared values and social harmony that builds the possibility that all people who live in Aotearoa New Zealand have a collective vision. It also fosters the powerful idea that cultural identity can be maintained alongside the development of national identity.